When you’re looking for a new excavator, it’s easy to focus on the equipment’s power, capabilities and price. But those are not the only things to keep in mind. You will also want to evaluate the machine’s serviceability features. Different manufacturers have different designs, and something that’s poorly designed could add up to extra time and cost over the life of the machine. Here are nine items to consider while shopping for an excavator. Also, here’s a bonus tip: Have someone from your service team look at these same things to help determine which brand is the most convenient and quickest to service. Greasing points — Some excavators have multiple greasing points located throughout the machine, whereas others group all greasing points together in one location. Grouped greasing points can drastically speed up the morning greasing process. Slew ring grease bath — Check the slew ring’s location and design. A raised, thick and tight seal provides durability for a long service interval. A flush slew ring cover, however, could let water leak inside. Sometimes they are placed behind the boom cylinder mount, which makes it more difficult to check for water. Swing bearing lube points — Look for an excavator with swing bearing lube points that are grouped together and easily accessible from the ground level. Those will be easier to service compared to excavators that have separate lube points on the front and back of the superstructure, which requires someone to crawl under or rotate the upper structure to reach the zerk. Anti-slip plates — Look to see how the plates are designed. Some manufacturers use small studs, and others use sandpaper in their access areas. Small studs are easily covered by mud and snow and can be hard on the knees when servicing. Punched plates, on the other hand, channel the mud and snow under the plates to maintain safe access. Cab air filter — The location of an air filter on excavators can impact the frequency and ease of maintenance for the filter. Cab air filters located directly above the tracks or wheels can experience rapid clogging from dirt, while air filters located at the rear of the cab are away from contaminants. Sometimes the air filter also includes a convenient pull-tab for quick replacement. Engine access — When considering the ease of serviceability, make sure you have easy engine access. Many excavators require bending and reaching across the engine to access and unlock the latch, but some excavators make this process much simpler. Some offer a hand grip that unlocks the engine hood easily, and the hood locks automatically once service is complete. Compartment doors — Check to see how big the compartment doors are. Robust designs with wide-opening doors and automatic locking systems make for easy access and potentially less servicing. You may want to avoid manual lock systems or excavators that use a lighter hinge with a pinch-point release latch. DEF fill — See where the diesel exhaust fluid filling port is located. Easy access can save time. Some excavators have the DEF fill and the fuel fill within arm’s reach of one another, which can be convenient. Some brands place the DEF port under a step or on the opposite side of the machine from the fuel fill. 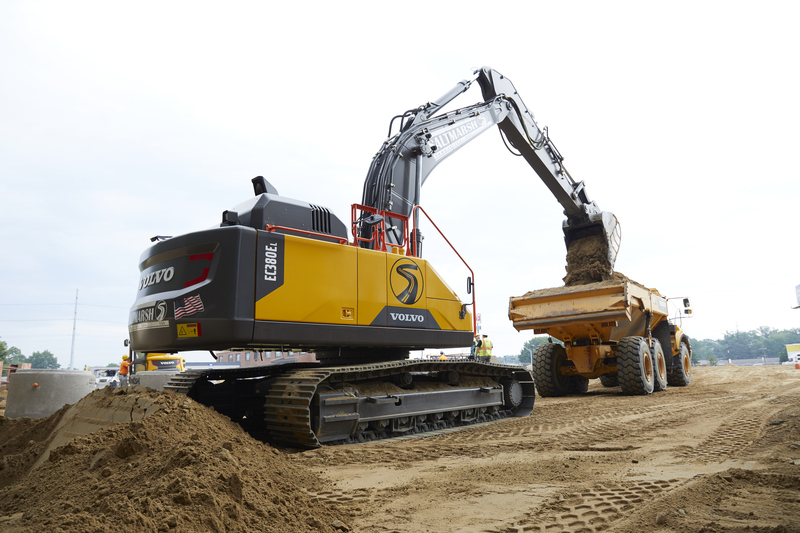 Quick disconnect ports — An excavator with multiple quick disconnect ports can make it easier to drain fluids. Once you buy an excavator, it’s important to keep it in good condition. 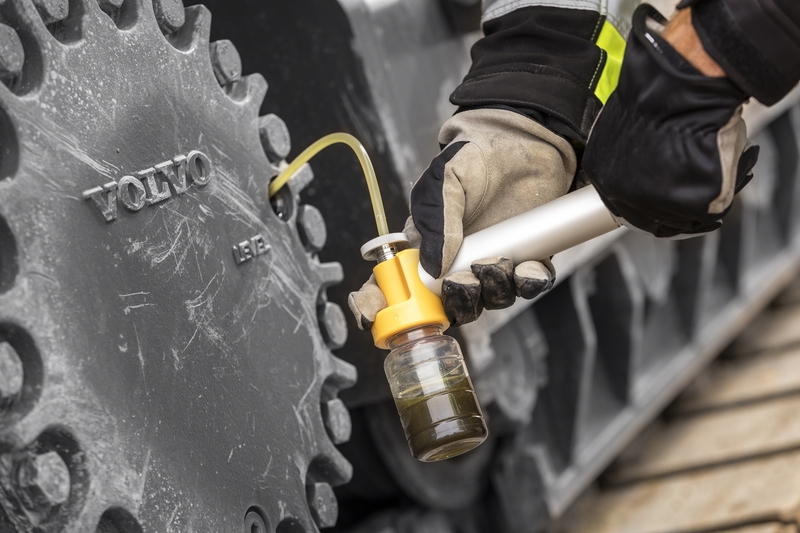 Here are some tips for reducing wear and tear on excavators.